Looking for a home in the Atlanta Area? You've come to the right place! Why? Because I am an "I" not a "we". When you decide to buy a home or refinance a mortgage in the Greater Atlanta Area, your search for a mortgage should start and end here. With so many lenders, you need to choose one you can trust to find the mortgage that’s best for you.  Sure, there are dozens of big bank mortgage lenders nationally, but you need a good, responsive, highly competitive lender in Atlanta. I know Atlanta and the surrounding areas of Fulton, Cobb, DeKalb, and Gwinnett counties. I know the local REALTORS®, attorneys, inspectors, and so much more. With state-of-the-art technology that makes the loan process as easy and fast as possible, all while delivering personal customer service, you don’t need to gamble your family’s largest investment with a big name lender that may not know Atlanta and definitely doesn't know you! Choose the Atlanta mortgage and loan specialist! Choose local. Choose Elizabeth Washburn. Your new home can be financed by a licensed professional locally. No need to deal with call centers on such an important transaction. Work with a mortgage broker that has your back. Lower mortgage payments and/or shorter loans are always a great idea in the financial plan. Depend on your home equity for home improvements. Maintenance is always less expensive than overdue repairs. Get the personal attention you deserve as a valued customer. Call 678-467-2330 or apply online. Education - Complete directory of Atlanta schools. Are you ready for a conversation? Please complete the information below. I will reach out within the hour. If I am not immediately available, I will contact you via text to set up a mutually convenient time. I look forward to the opportunity to earn your business!